Why not surprise them tonight with this easy recipe for Chocolate Chip Cake Mix Cookies? Chocolate chip cookies are without a doubt America's favorite. And with a box of yellow cake mix and a few more ingredients, you are just minutes away from the irresistible aroma and flavor of fresh from the oven home baked chocolate chip cookies. Yes, that's right. 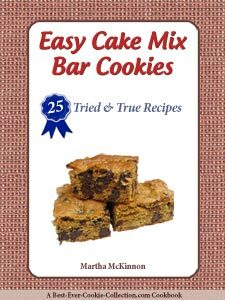 The secret ingredient to easy chocolate chip cookies is a standard 18.25-ounce box of cake mix. 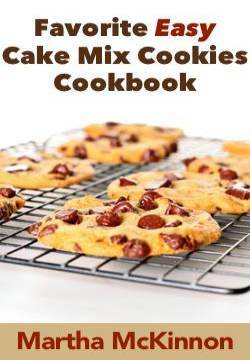 A cake mix saves you from having to mix and measure all the dry ingredients (flour, sugar, salt, baking powder, baking soda) found in most chocolate chip cookie recipes. With a box of cake mix and a great recipe for chocolate chip cookies, you are well on your way to being a master cookie baker in minutes! Preheat oven to 350F degrees. Line cookie sheets with parchment paper for best results. Alternatively use ungreased cookie sheets. In a large bowl beat half of the dry cake mix, butter, vanilla, and eggs with an electric mixer on medium speed until well-blended and smooth, 1 to 2 minutes. Stir in the remaining dry cake mix, chocolate chips, and nuts (if using) with a wooden spoon, just until combined. Drop dough by rounded teaspoonfuls approximately 2 inches apart onto prepared cookie sheets. Bake for 10 to 13 minutes, or just until the edges are set but the centers are still soft. Remove from the oven and cool the cookies on the cookie sheet for about 1 minute and then transfer the cookies to a wire rack to cool completely. This recipe yields about 48 Easy Chocolate Chip Cookies with Cake Mix. Add 1 teaspoon cinnamon to the dry cake mix during the initial beating of the cookie dough. Replace the vanilla with 1/2 teaspoon peppermint extract and the semisweet chocolate chips with mint chocolate chips. Replace 1/2 cup toffee baking bits for the nuts. Preheat oven to 350F degrees. Line cookie sheets with parchment paper for best results. Alternatively spary sheets with nonstick cooking spray. In a large bowl beat half of the yellow cake mix, softened butter, brown sugar, eggs and vanilla extract with an electric mixer on medium-high speed until blended and smooth, 1 to 2 minutes. Stir in the remaining cake mix, chocolate chips, and nuts (if using) with a wooden spoon, until all dry ingredients are combined and moistened. Drop dough by teaspoonfuls about 2 inches apart onto prepared cookie sheets. Bake for 10 to 13 minutes, or just until the edges are golden and the centers are barely set when lightly touched. Remove from the oven and allow cookies to cool on the cookie sheet for about 1 minute and then transfer to wire racks with metal spatula to cool completely. 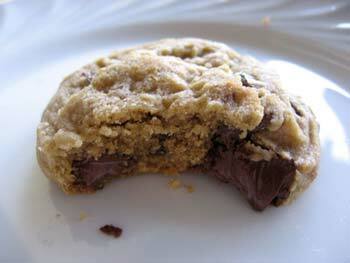 This recipe yields about 4 1/2 dozen Classic Cake Mix Chocolate Chip Cookies. Prepare as directed above but add 3/4 cup toffee baking bits to the dough instead of nuts. Prepare as directed above but replace the vanilla extract with 3/4 teaspoon peppermint extract. Sprinkle tops of cookies with crushed red and white striped peppermint candies or candy canes (about 1 cup total) just before baking. Prepare as directed above but dissolve 1 tablespoon instant espresso or coffee powder in the vanilla extract before adding to mixture. Prepare as directed above but do not use nuts and add 1 1/2 teaspoons ground ginger and 1/2 cup chopped crystalized ginger to the dough. 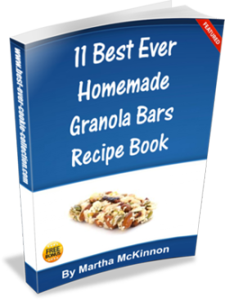 Prepare as directed above but replace semisweet chocolate chips with milk chocolate chips and add 2/3 cup dried tart cherries instead of nits.